A real snowy winter with its clean, frosty air, snow-white carpets, fluffy hats on trees and rooftops is in itself a wonderful time. But there are some places on the planet where this time of year seems like a fairy tale. So where is the best place to go for a winter break? Where should fly? Here are five places to relax during your winter vacation. If you have ever dreamed of being in a medieval fairytale in the midst of winter, we advise you to go to the south-east of Germany. Here, through the land of Bavaria, runs the popular tourist route — Romantic Road. To this end, it is necessary to fly to Munich. After staying for a couple of days in the Bavarian capital, you should visit the Marienplatz square, see the buildings of the Old and New Town Halls. In Munich, there is a glyptotek and Pinakothek, a huge museum complex Münchner Residenz. Of particular interest to tourists are the Olympic Park, the English Garden, the Frauenkirche church. The end point of the journey — Füssen — is famous for the residence of the electors, the Schlossberg castle, the church of St. Magnus. But the best attraction, as this town, and the whole of Bavaria — Neuschwanstein Castle. 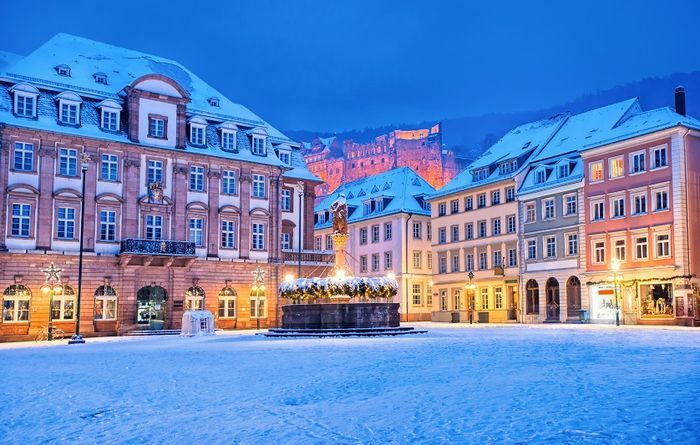 The white fortress, erected by order of King Ludwig II, is beautiful at any time of the year, but in winter, surrounded by snow covered with fir, especially. Where to go to rest in the winter, if the soul requires unity with nature? 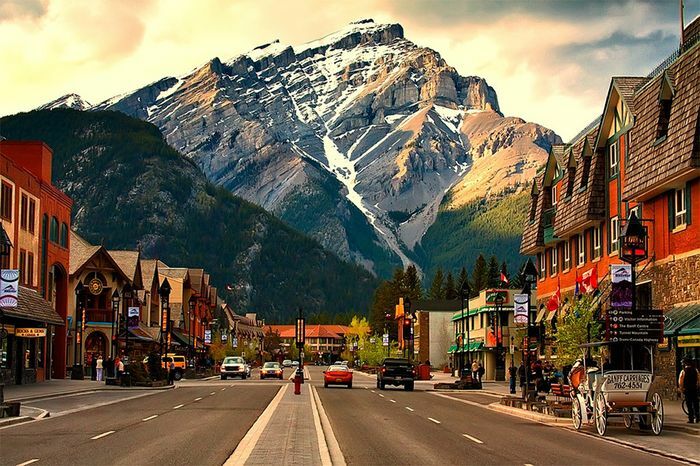 Travelers who are not afraid of long flights should head to Banff. The oldest Canadian park on the territory of the Rocky Mountains is famous for its virgin alpine landscapes with many glaciers. In winter, tourists come to the province of Alberta to rest, to watch the amazing beauty of the age-old fir-trees in the snow, the rocks that are reflected in the mirror-like waters of the clear lakes. Fly to rest in the national park is best through Calgary, and only from there to get to the town of Banff. The Bow River passes through the tourist settlement, and Bow Falls Falls is located in the vicinity. In the park itself is full of animals: deer, lynx, wolves, foxes, grizzly. In the town itself often wander wild moose. Learn more about the representatives of the local fauna can be in the park museum. Architectural and historical landmark Banff is considered the hotel «Fairmont», built in 1888. The hotel, which looks like a baronial castle, has 14 shops, 16 restaurants, two huge pools. There is a golf course not far from the hotel, created by renowned architect Stanley Thompson. The park area is 6.5 thousand square meters. km View the entire territory allow helicopter excursions. At the foot of the mountain Sulfur beat thermal springs. Here there are spa centers and a sauna, built a half century ago. Immerse yourself in the hot mineral water, you can relax for a while and forget about the harsh Canadian winter. 54 km from the town of Banff is Lake Louise with the same name village on the shore. In addition to the beautiful reservoir, tourists are attracted here by the picturesque valley of the Ten Peaks. In Banff, it is good to rest actively: as part of a group, go to the Athabasca glacier, go skiing and snowboarding. There are three ski resorts in the park: Lake Louise, Ski Banff Norquay, Sunshay Village. There are 28 tracks of different levels of complexity, 5 lifts with a capacity of 7 thousand people per hour. The resorts have a ski school for adults and children, rental equipment, you can hire a personal guide or instructor. Where to go in winter in Eastern Europe? One of the most beautiful natural places in the region is the Bled Lakes. You can go to relax in the Julian Alps in late spring and summer, but only in winter you can ski here. Bled is a town located near the border of Slovenia with Austria and Italy. Balneological and ski tourism here began to develop more than a century ago. Now Bled — a popular year-round resort with a developed infrastructure. The true adornment of these places is the Bled glacial lake surrounded by mountains. A small picturesque island rises in the middle of its waters, on which a castle was erected in the early 11th century. Now in the building of a medieval fortress there is a restaurant of national cuisine and a historical museum. Next to the castle is the Church of the Assumption of the Virgin Mary. Earlier, in its place, religious shrines were erected three times, of which only fragments remained. The interior of the church is notable for its paintings, gilded and marble baroque decorations. Another attraction of the island is the snow-white residence of Broz Tito. Now in a building owned by the Yugoslav leader, the 4-star hotel «Villa Bled» is located. You can go to the island by boat, rented on the shore of the lake. Bled can not be called a classic ski resort due to the lack of supercomplex trails, but in the vicinity of the lake there are all possible options for winter activities with children. A few minutes walk from the ski center «Strazha». The existing tracks — blue and red — are equipped with evening lighting, artificial snow system. There are two lifts with a capacity of 1.2 thousand people per hour. The center has a ski school and equipment rental. Along with Canada and the countries of Northern Europe, Russia is also famous for its snowy cold winters. Moreover, in order to experience all the delights of this time of the year, it is not necessary to fly to the Far North. 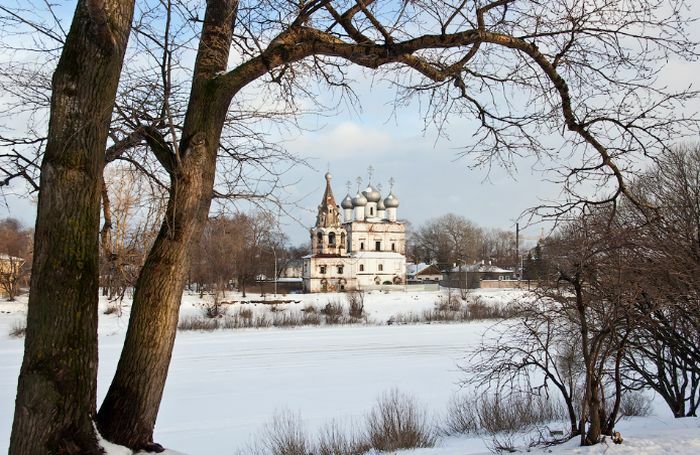 Deciding where to go on vacation in the winter with children, you can get to the Vologda region, and more specifically to Veliky Ustyug. The ancient city with taiga forests and clean air for the last seventeen years has been known as the Fatherland of Father Frost. That is why the largest flow of tourists falls on the eve of the New Year and Christmas holidays. Once in Veliky Ustyug with children, you can go to a puppet show at the Museum of Local Lore, a master class in needlework at the Museum of Ethnography. Get to know the nature of the Russian North closer in the Museum of Nature of the region. On New Year’s Eve, be sure to look at the fabulous mail, write and send a letter to Santa Claus. In the Museum of Christmas toys all year round Christmas trees of different eras. As for the fabulous grandfather’s mansion, it is located in the vicinity of the city. The residence in the middle of the forest consists of a chamber, a forge, a glacier with sculptures. Arriving to Santa Claus to visit, be sure to take a ride on the Emelina stove, go down the ice slide on the “cheesecake”, take a picture next to the monument of sandals. museums and the Church of the Nativity in Totma. Where can I go for an exotic winter? A lot of unusual and vivid impressions will give you a trip to the Land of the Rising Sun. Traditionally, people go to Japan in spring to admire the flowering of sakura, or in autumn, when momiji maple trees flare purple. 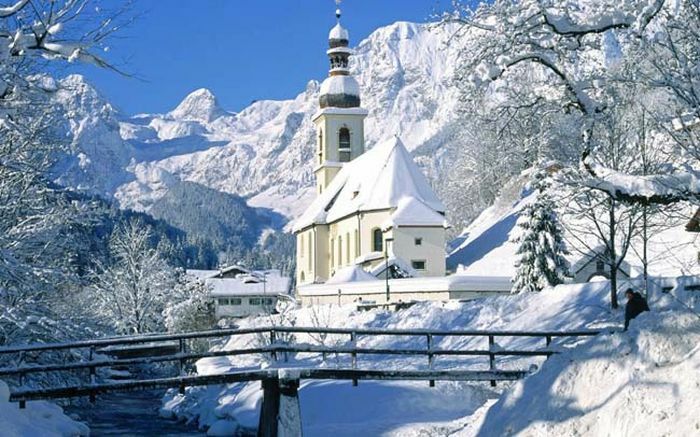 In most regions of the country, winter is mild and sunny, with little snow falling. But in Northern Japan, in Hokkaido, the height of snow cover sometimes reaches 17–20 m.
If the nature of the island enchants with its snow-white landscapes, then the highlight of the Japanese cities in December-January is the widespread illumination. At night, placers of lights on trees, bushes, buildings, squares turn Japan into a fairy kingdom. However, there is something to be surprised and in the daytime. A full winter vacation in Japan cannot be imagined without a visit to Sapporo. Every year, in the capital of Hokkaido, Yuki-Matsuri is celebrated or the Snow Festival, an international festival of ice and snow sculptures. It starts in early February and lasts a week. A few million tourists come to see hundreds of unusually beautiful figures, so the issue of staying in Sapporo should be resolved a few months before the intended journey. Where is the best place to stay? Look for places closer to the entertainment centers: Susukino, Tsudomu and Odori. A 3.5-hour drive south of Sapporo is Onum’s Park, famous for the lake of the same name, with 126 tiny islands scattered around it. Here you can admire the Komagatake volcano, visit the silent monastery, the Sikabe geyser park. The center of Hokkaido is Daisetsuzan National Park. Its main attractions are the Furano ski resort and the Asahidake volcano with geysers. There are places on the island where you can relax in the winter not only with your soul, but also with your body. Speech about the famous thermal spa Onsen Noboribetsu, combining nine hot springs. Near the resort town is the pond of Oyunum and Hell Valley.